A convenient measuring instrument that allows by itself the measurement of DC voltage, AC voltage, DC current, AC current and resistance. In addition to these basic measuring functions, most models are provided with features such as diode test function and continuity buzzer. 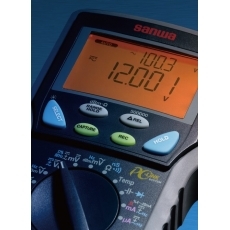 Digital Multimeters There are 8 products.